Calling all new and expecting parents!! 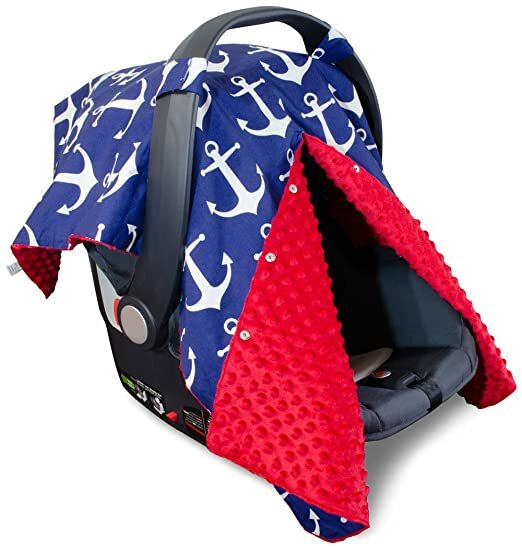 Grab the 2 in 1 Carseat Canopy and Nursing Cover Up with Peekaboo Opening | Large Infant Car Seat Canopy for Girl or Boy | Best Baby Shower Gift for Breastfeeding Moms | Navy Blue Anchor Pattern with Red Minky for just $19.99 and get FREE 2-day shipping if you're an Amazon Prime member! That's a 60% discount off the regularly listed price of $49.99! 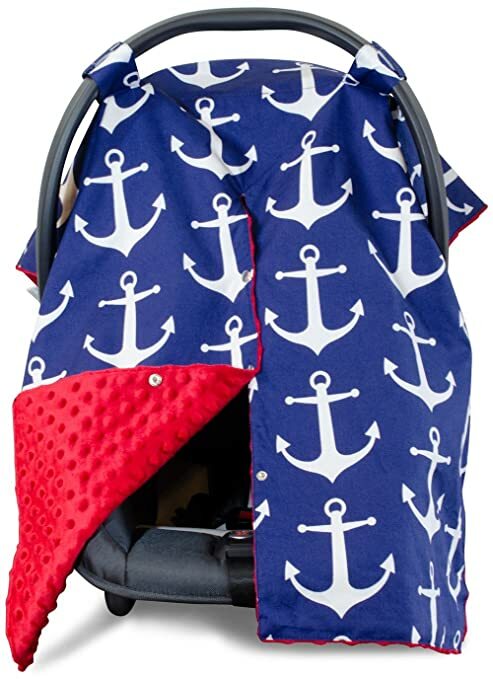 NEVER COMPROMISE YOUR BABY'S SAFETY again by throwing a blanket over their carrier. Our unique Peekaboo Opening™ snaps AROUND the handle so you can always maintain a firm grip while toting your child from place to place. NURSING YOUR BABY IN PUBLIC no longer has to be a burden. The Peekaboo Opening™ gives breastfeeding mothers modest coverage while nursing. Just remove the Car Seat Cover from the car seat and wear it like a bib! Check out the images to see how easy it is. 100% SATISFACTION GUARANTEE- It's not just hype. Read our REAL reviews and see what mothers are saying about Kids N' Such. We are known for having top premium products AND customer service.